The Graduate School at Buffalo State will hold an open house on Saturday, September 8, 10:00 a.m.–noon, in E. H. Butler Library. The open house is an opportunity for prospective students to learn about Buffalo State’s 65 graduate programs, meet faculty, explore financial aid opportunities, and tour the campus. 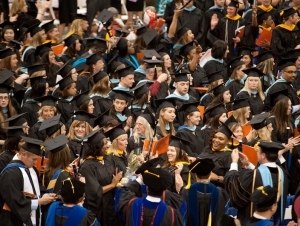 For more information or to register, visit www.buffalostate.edu/graduateschool or call (716) 878-5601. Buffalo State, a State University of New York (SUNY) campus located in Buffalo, New York’s Elmwood Village, offers degrees in the arts, education, the sciences, and professional studies. Each year, nearly 12,000 students choose Buffalo State for its broad array of high-quality and distinctive academic programs, diverse and creative environment, hands-on learning opportunities, affordable SUNY tuition, and location in the heart of Buffalo’s cultural corridor.